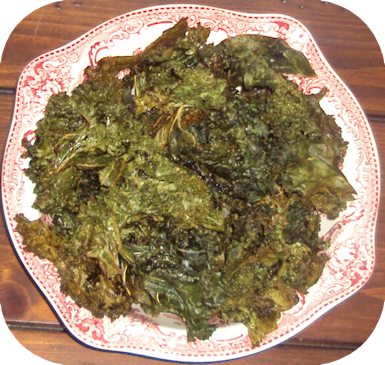 Kale Chips | Wine NOT! Good to see your post and thanks for the recipe — I want chips but can’t do the potato chips. I will be trying this for sure. I too have the sulfite demon plaguing me, but started having all kinds of reactions to what seemed like everything I ate. I have now pretty much determined that it was caused by Leaky Gut Syndrome (no – I am not making that up) – apparently large “protein” particles escape my colon (gut) and get into the bloodstream and then my immune system thinks they are foreign bodies and attacks them creating an allergy attack. Anyway — I had eliminated everything from my diet based on the sulfite allergy which I already had but seemed worse and I am now a gluten free, grain free, sugar free (except for fruits) girl. I feel like a new person – still healing but getting better I think. Thanks again for the post. I see a crunchy snack in my future. Thanks for the recipe. One quick question/comment: doesn’t apple cider vinegar contain sulfite? I’m told that basically all vinegar (except maybe for white rice wine vinegar) contains sulfite. It’s good that your blog is ‘online’ again. Good question, Joris. I think a lot of people with this allergy can tolerate apple cider vinegar. I have heard there are also some white rice vinegars that you can possibly get in an Asian food market setting. « When in doubt, post kale.